Onscreen Evaluation System is the technology to improve current examination paper checking process. Traditional paper checking process is time consuming and involves many logistical activities. It involves process to scan each answer sheet and store in software system in secure manner. There is no location constraint in such case. 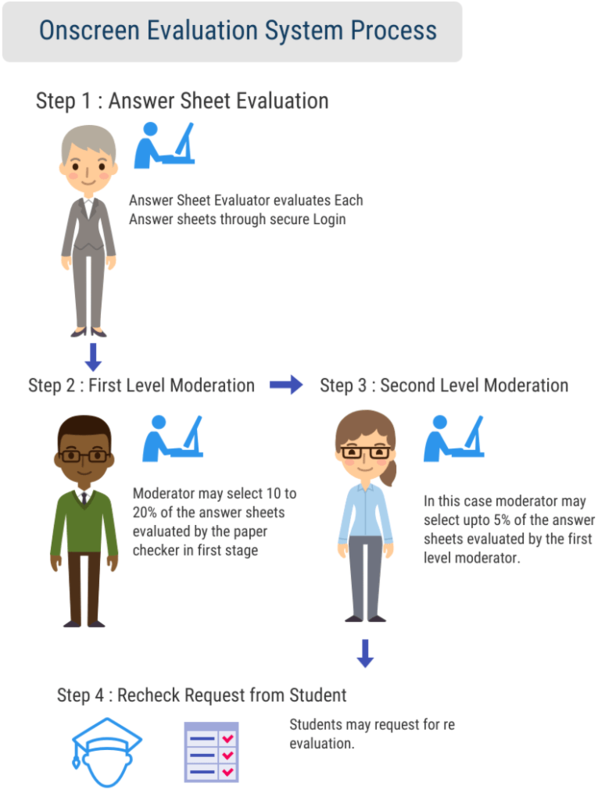 Any examiner/ answer sheet checker or Moderator can verify/ evaluate answer sheets sitting at their location . Person can securely login to the system and can evaluate scanned answer sheets. Can be managed easily from the software system. Sometimes students request for re-evaluation or rechecking of answer sheets. Onscreen evaluation makes it simpler to do this activity. One of the huge administrative tasks for any education institute/ University. Examination process is conducted for theory exams where candidate need to write answers. Examiner collects those answer sheets and submits to authority for checking process.